Seven financial startup firms were ranked in THE DIGITAL 100: The World’s 100 Most Valuable Private Tech Companies. The past several months, several companies were evaluated based on revenue, users, market opportunities, growth rates and perception. 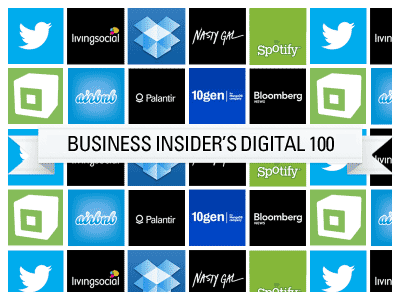 THE DIGITAL 100 has been valuing and ranking technology startup firms for the past 5 years. It started with just 25 companies in the list and evolved into SAI 50+ and this year’s edition is known as the Digital 100. The first four editions of the list only included startup firms, however the definition of ‘startup’ has become a bit confusing. Thus, the Digital 100 is now a list of the most valuable private digital tech companies from around the world. For the past four years, the valuation methodology used by the Digital 100 remain similar to its first version, SAI 25. Join the conversation here or on our Facebook page.